Rice is among the most significant food crops on the planet, covering an area of more than 154 million hectares, according to the International Rice Research Institute. And while consumption of rice increases each year, the spread and increased incidence of various rice diseases, disorders, and pests pose greater risks to production. Better, more up-to-date management practices are needed to keep feeding the world. 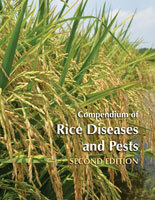 The Compendium of Rice Diseases and Pests, Second Edition, was developed to help agricultural professionals and academics. 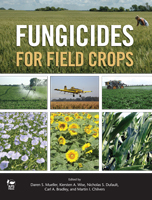 Get the latest information on the management of diseases, insect pests, and abiotic disorders of this important crop. 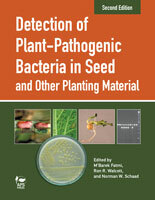 Published more than 25 years after the first edition, this new full-color update presents the major shifts in rice cultivation, including the more extensive use of hybrid rice, herbicide resistance, new biotechnologies and fungicides, the continued shrinkage of genetic diversity, and more intense cultural management systems. To help foster worldwide communication and information exchange on rice and its many production challenges, a group of top rice experts from various areas of the world were tapped as editors, along with a team of contributing authors specializing in key areas of rice health. Together they updated much of the information in the first edition, as well as added important newly discovered diseases and pests, ultimately providing better and fresher insights into the diseases, disorders, and pests that affect the world’s most predominant human food crop. Each section of the book is well illustrated to help users effectively identify the disease, pest, or disorder at hand. In total, the book contains 167 maps, diagrams, and photos—most of them new to this edition. An overview of rice production and consumption, taxonomy, plant development, and diseases and arthropod pests. A section on biotic diseases, representing 70 rice diseases categorized by pathogen type: bacteria, fungi and oomycetes, viruses, phytoplasmas, viruslike agents, and nematodes. For each disease, information on symptoms, causal organisms, disease cycle and epidemiology, and management strategies are included. A list of references provides additional resources on the disease. A section on abiotic disorders, covering a range of nutritional disorders and herbicide injuries, as well as akiochi (hydrogen sulfide toxicity), akegare, and straighthead. A section on arthropod pests, including the rice water weevil, rice stink bug, rice stalk borer, and others. For each arthropod pest, descriptive information, symptoms of damage, and suggested management strategies are provided. An appendix that lists the common names of rice diseases (along with their pathogens), as well as a glossary and index. The Compendium of Rice Diseases and Pests, Second Edition, is a useful tool for academics and professionals involved with rice crops, including researchers, diagnosticians, extension personnel, crop consultants, farm managers, and growers. It is a valuable tool for the field, lab, or classroom.